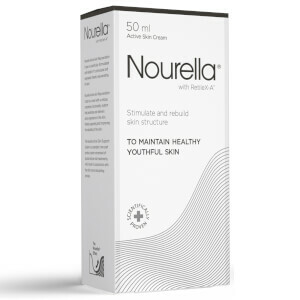 Discover the effective, innovative anti-ageing skincare range from Nourella here at Mankind. 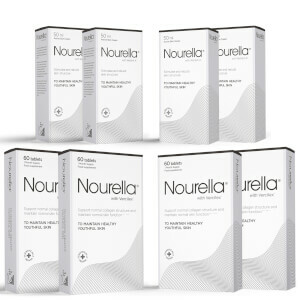 Researched and developed over 28 years, Nourella skincare is designed to effectively reverse the signs of ageing. By stimulating the skin rebuilding process, the rejuvenating combo of tablets and cream provide natural skin protection from free radicals and future UV damage whilst preventing the degradation of collagen and elastin. Scientifically proven to be side effect free, they improve the skin’s structure, quality, overall appearance and its ability to retain moisture. Nourella have used natural ingredients in their unique formulations RetileX-A® and Vercilex®. RetileX-A® is the formula found in the Nourella® Active Skin Rejuvenation Cream. It penetrates the epidermis and enters the dermis layer of the skin. It then becomes hydrolysed and metabolised to provide a powerful anti-ageing effect. Containing active elements engineered to be water-soluble, it allows the cream to work efficiently. 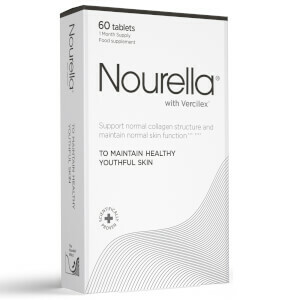 Vercilex® is the formula found in the Nourella® Active Skin Support Supplement. Proven to interact with skin cell cycling and the formation of elastin and collagen, it supports the rebuilding of the overall cellular structure. This complex is what’s responsible for creating a youthful complexion.